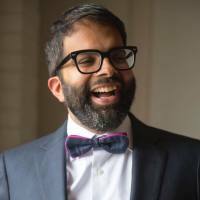 Pervaiz Shallwani is a senior editor and writer for The Daily Beast. He has served as a restaurant critic, food writer and TV show host at Newsday, and a criminal justice reporter at The Wall Street Journal. His work has also appeared in Rolling Stone, New York Magazine and The New York Times. Send him tips: [email protected], [email protected] or [email protected].You can also use our anonymous document submission system, SecureDrop. Click here to find out how.